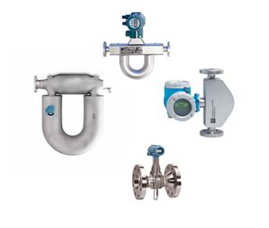 Mass Flow Technology Inc. is an ISO/IEC 17025 accredited service company that specializes in the repair, calibration and sales of process and control instrumentation. Production is not our business, customer service is. We are the #1 independent service provider in the flow business. Our goal is to make sure that every meter that we repair or calibrate reproduces the original factory calibration. This is achieved by having the technical expertise and experience in flow technology that’s second to none. We don’t just look at accuracy, when we are calibrating flow devices, we also look for repeatability. Our technicians are skilled in flow (mass and volume), density, pressure and temperature calibrations. This expertise includes the following flow technologies: Coriolis, Magnetic, Vortex, Turbine, Differential Pressure, Ultrasonic and Paddlewheel. We understand the importance of critical measurement accuracy and we take it seriously. Have a critical situation? We have 24/7 support and our turnaround time is simply the best. If you’ve tried the rest, call the best at 281 427 7284 and schedule your next repair or calibration.